Area: 60639 sq km. 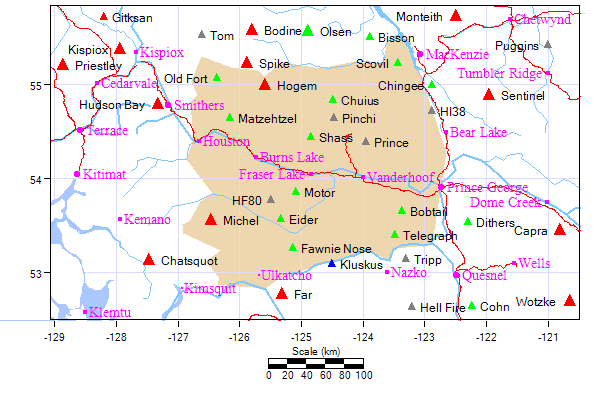 Location: This is the northwesternmost segment of BC's Interior Plateau, and is defined by Holland as lying between the Nation River (N) and the West Road River (S), SE of Babine and Takla Lakes, ie. the Skeena Mountains.